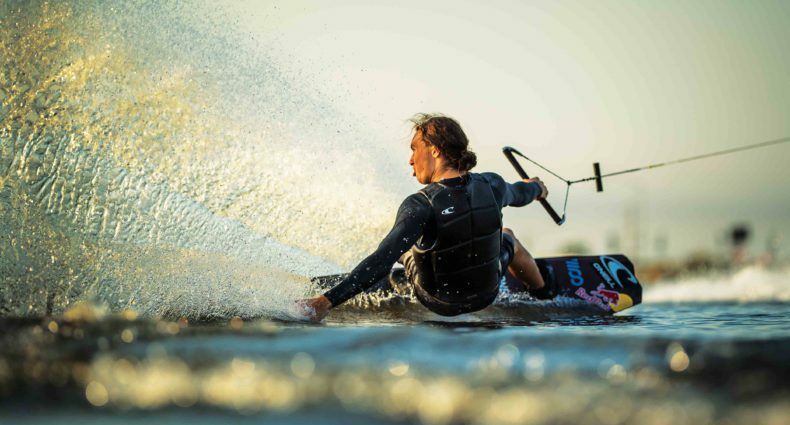 ORLANDO, FL (August 7, 2018) – Over the weekend, Orlando Watersports Complex won their fourth consecutive national title at the 2018 Nautique Wake Park National Championships held at Quarry Cable Park in Crystal Lake, Illinois. Nationals gives out team and individual placements. In total, Team OWC earned 15 individual medals and together won the team gold medal. In the past seven out of eleven years, OWC has won nationals in the traditional cable format. They also have won six nationals in the feature cable format out of the past eleven years. The top five riders in each division of the 18 respective parks participating were invited to compete at nationals. This year, Team OWC brought 30 riders to fill multiple divisions. Their athletes ranged from 6-year-old, Evan Cole, to 47-year-old Jason Stuckey. Team OWC had the largest representation at nationals which had a great impact on their first-place finish. The Stuckey family had a huge part in getting Orlando riders involved by promoting the qualifiers and nationals to riders. Every year, Team OWC hosts fundraising events such as night rides, donations and auctions on cable lessons. The funding covers partial cost of travel, entry fees and practice. This year, t-shirts were donated by Bob Carns and Austin Edwards to the team. “We are extremely proud of Team OWC. All of their hard work has paid off and we could not be happier for them to bring yet another national title home to Orlando,” stated Bill Yeargin, President and CEO of Correct Craft (owner of Aktion Parks and OWC). 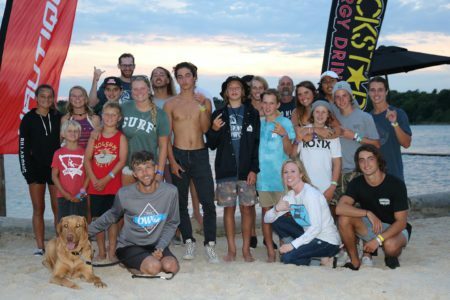 In the amateur wake skate event Gavin Stuckey received second place, Trent Stuckey received third place and Daniel Laskowski received fifth place. In the advanced event, Gavin Stuckey got the third place medal and Theo Koester got the fourth place medal. Piper Harris won fourth in the intermediate event and Garrett Coleman won third in the junior mens feature event. The open women finalists were Shannon Stuckey, first place, and Piper Harris, third place. Two Stuckey family members, Jason and Shannon, gained the first and second place in the veterans features event. John Dreiling and Jamie Loping earned the third place at the pro features event in the respective men and women divisions. Lastly, Sam Langley received third in the pro wakeskate event and Trent Stuckey received fourth in the boys features event at nationals.